Ask for Special Deal ! IN STOCK : RED, OFF WHITE, GREY FOR FAST DELIVERY ! 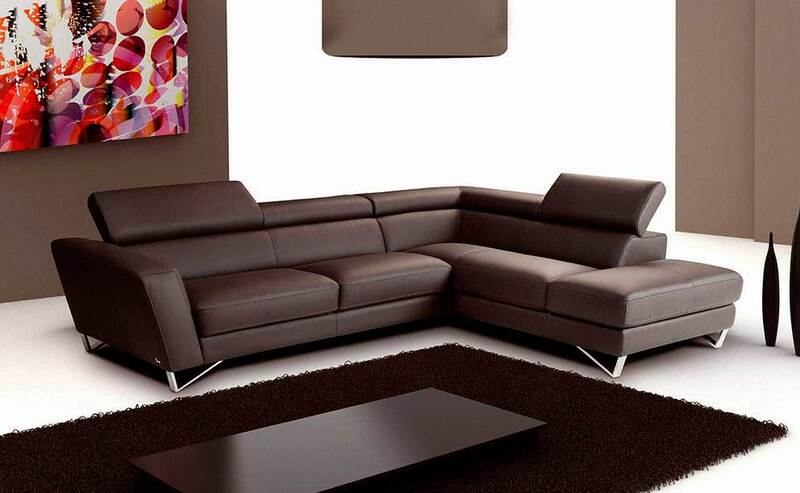 Chic Italian Top Grain leather Nicoletti sectional sofa CONTEMPORARY style matched with the best comfort. The Sparta leather sofa comes in a fresh variety of attractive colors, taking on a contemporary presence in your living room. High-resilience foam cushions combine with an industrial strength webbing system to provide consistent support. 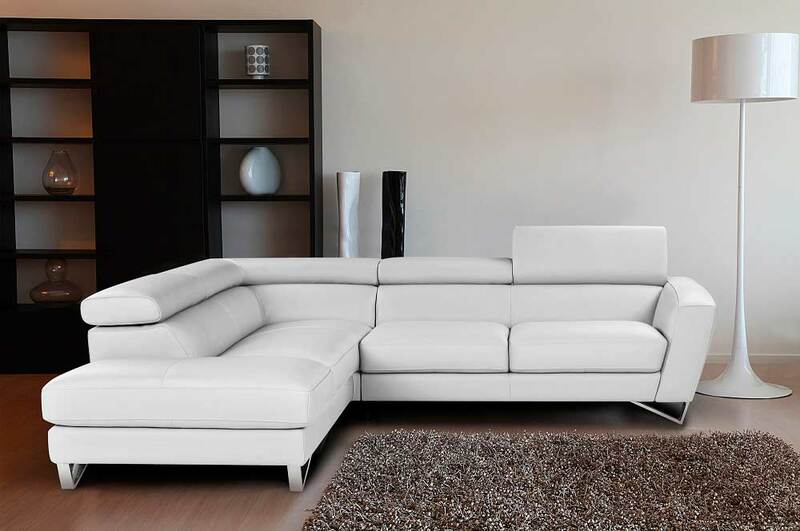 With striking style and mesmerizing comfort, this 2 piece sectional is one you'll never forget. This modern, yet sophisticated, sectional lets you kick back and put your feet up while relaxing with friends. Thick adjustable and ratchet mechanism head rests, metal triangle form legs, and many details exude a contemporary, The Sparta sectional sofa inviting style that everyone will love, while generous padding and top-grain Nicoletti leather upholstery lets you sink into exceptional comfort that will stand the test of time. Please contact us to check what colors are in stock. Choose any of these colors BY YOUR SPECIAL ORDER (Please check additional pictures) ! Right or Left chaise, Top Grain Leather. High quality Top grain Italian leather. Top Grain Italian Leather, Right or Left Facing Chaise. 100% Top Grain Italian Leather, Both returns are available. 100% Full Italian Leather, Pillows Included. 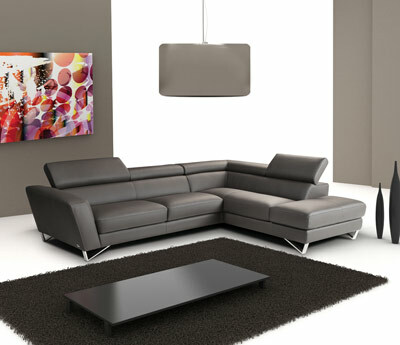 High quality genuine leather, Speakers and Bookshelf.